We Work Hard to put your body back in Motion! With 5 Locations in Naples and Bonita to serve you better! Dianne Cortese, originally from New Jersey, is a registered, licensed Doctor of Physical Therapy with 25+ years of clinical experience. Dianne received her undergraduate education at New Jersey’s UMDNJ/Kean University joint program for Physical Therapy. She received her Doctorate of Physical Therapy from the College of St. Scholastica. Dianne has an advanced certification from McKenzie Institution for mechanical diagnosis and therapy of the spine. Dianne specializes in the treatment of orthopedic and neurological injuries and disabilities in both adult and pediatric patients. 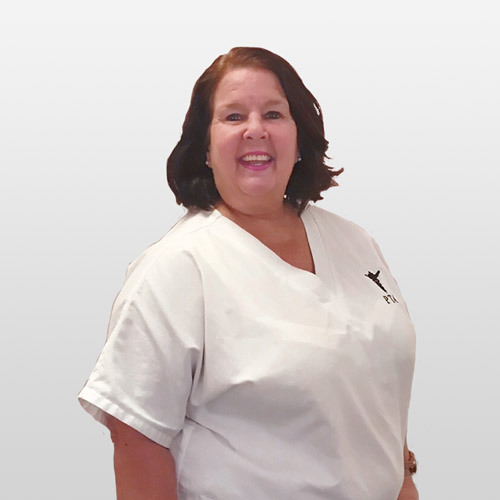 Dianne has also trained in lymphedema physical therapy at the Academy of Lymphatic Studies in Sebastian, Florida. Dianne has enjoyed practicing as a treating and managing clinical therapist throughout her career in various healthcare settings. 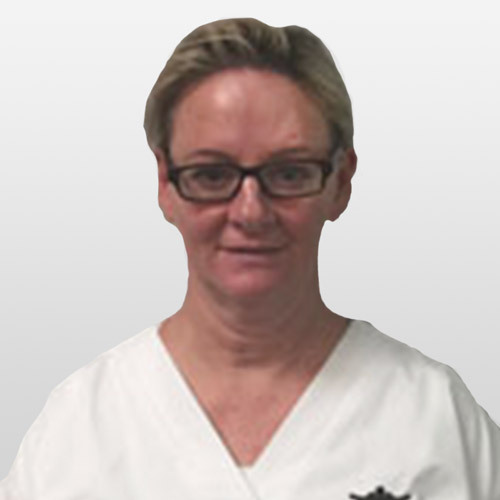 Dianne is passionate about returning every patient to their maximum physical performance. She enjoys seeing patients as the first point of service from the onset of their pain or physical injury. She has previously practiced in New York and New Jersey. Dianne is the founder of our practice and serves as the Director of Physical Therapy. Dianne enjoys continued education in a workplace that stimulates learning in young healthcare providers. 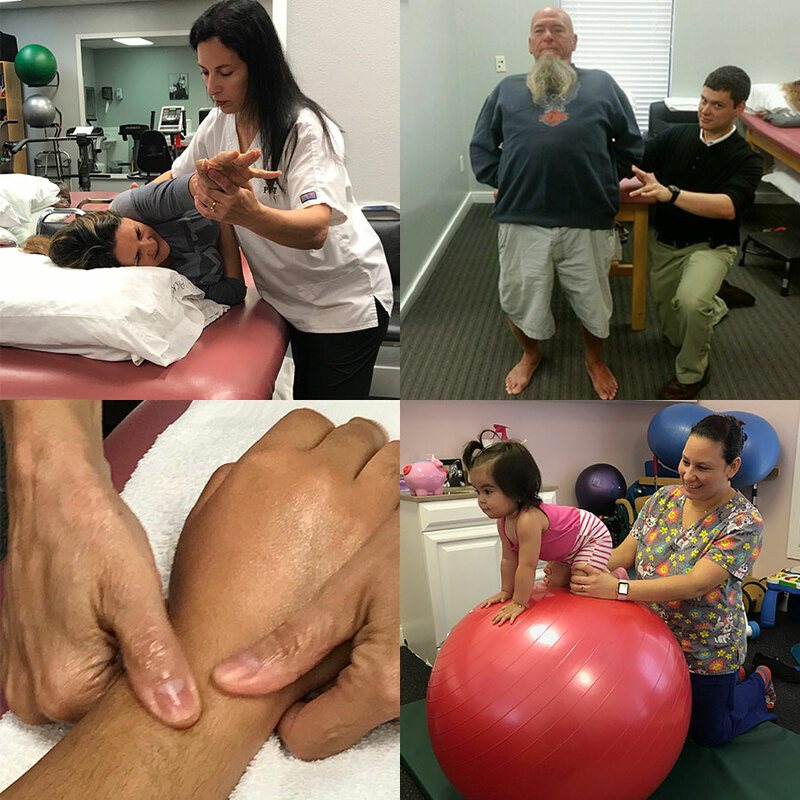 Bringing qualified healthcare therapists to our practice has been Dianne’s mission to serve various therapy needs in the Naples/Bonita community. Dianne is a certified personal trainer. Dianne has been a member of the American Physical Therapist Association throughout her career. She is fluent in Italian, and conversational in Spanish. Maryrose, originally from the Philippines, is a registered, licensed Doctor of Physical Therapy with 20 years of clinical experience. 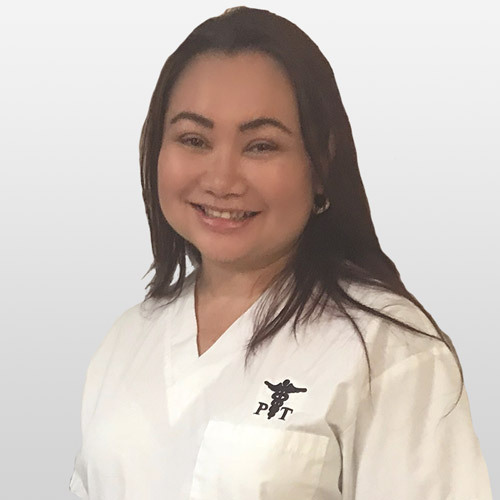 Maryrose received her Bachelor’s Degree in Physical Therapy from Davao Doctors College in the Philippines, and completed her Doctorate of Physical Therapy from the College of St. Scholastica. 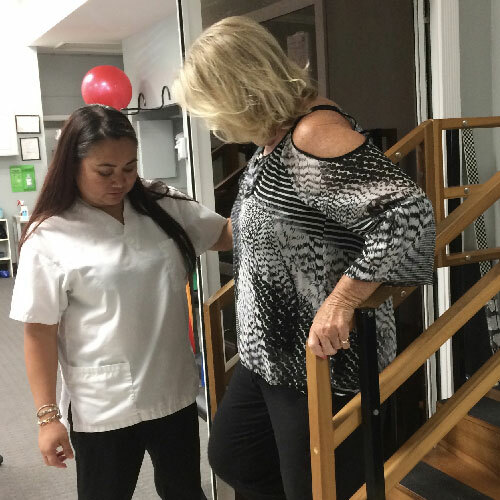 She continues her training for mechanical diagnosis and treatment of the spine through the McKenzie Institute. Maryrose has extensive training in orthopedic and neurological rehabilitation. She is experienced in treatment of diverse cases, with case load ranging from pediatrics to geriatrics, acute to chronic conditions, sports injuries, motor vehicle accidents, and work injuries. Maryrose also has training in treatment of vestibular disorders. She has trained under the Academy of Lymphatic studies in Sebastian, Florida for treatment of lymphedema. Maryrose is in charge of the student clinical internships at our facilities. She is fluent in English and Filipino. Jim, originally from Cuba, is a registered, licensed Physical Therapist with 25 years of clinical experience. He received his undergraduate education from Barry University in Miami Shores, Florida where he obtained his Bachelor’s in Science. 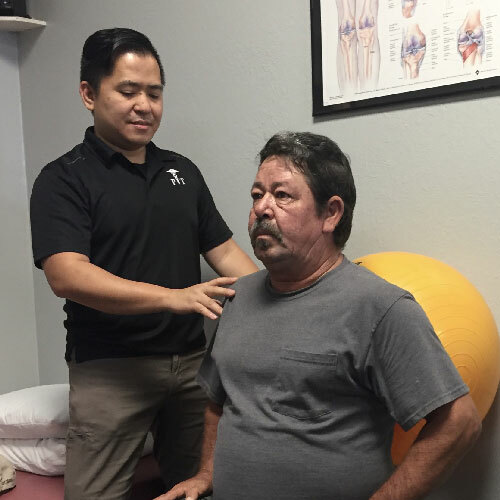 He spent his first 5 years as a Physical Therapist Assistant and returned to Barry University and received his Master’s in Science in Physical Therapy. Jim specializes in manual therapy and treatment of orthopedic injuries. He is also a certified Manual Therapist through the University of St. Augustine. Jim has worked in various healthcare settings and has managed and operated outpatient physical therapy practices throughout his career. His vast experience ranges from orthopedic injury to neurological treatment of patients. Jim is fluent in English and Spanish. 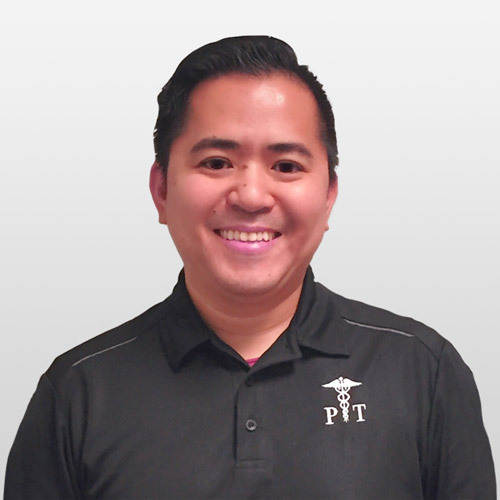 Joel, originally from the Philippines, is a registered, licensed Physical Therapist with 20 years of clinical practice. He earned a Bachelor’s degree in Physical Therapy from De La Salle University in the Philippines. Joel has practiced in both Florida and the Philippines. He is certified in vestibular rehabilitation and has mastery certification in manual therapy for the spine and extremities. 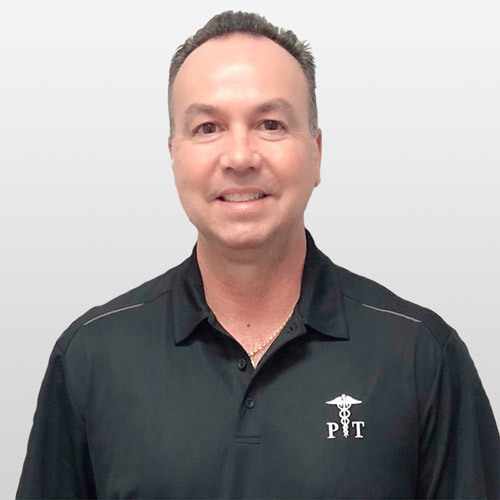 Joel has extensive background treating patients in need of neurological and orthopedic rehabilitation and has worked with a vast amount of patients who have varying degrees of spinal disorders. Joel has been a clinic managing Physical Therapist for many years and is also a certified personal trainer. He is fluent in English and Filipino. 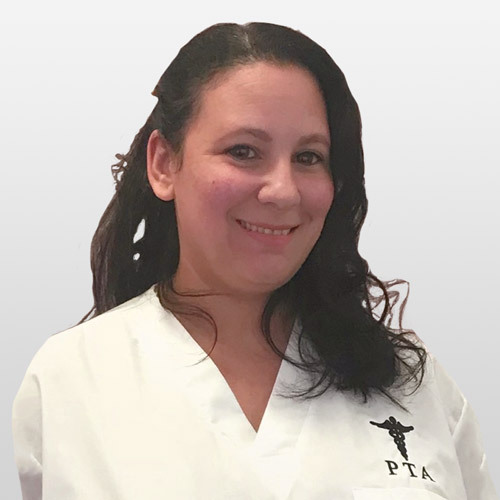 Lorraine Fierro, originally from New Jersey, is a registered, licensed Physical Therapist with 15 years of clinical experience. She received her Bachelor of Arts in Philosophy and Religion while attending Kean University. In 2003, Lorraine received her Master of Physical Therapy from Dominican College in Rockland County, New York. She has an advanced certification from the McKenzie Institute for mechanical diagnosis and therapy of the spine. She has extensive training in manual therapy, and orthopedic and sports related injuries. Lorraine has served as a clinical manager and director in multiple clinical settings. Cindi Schrum, originally from Maryland, is a registered, licensed Physical Therapist with 30+ years of experience. She received her Bachelor of Science in Physical Therapy at the University of Maryland at Baltimore. Cindi specializes in outpatient orthopedic and manual therapy. 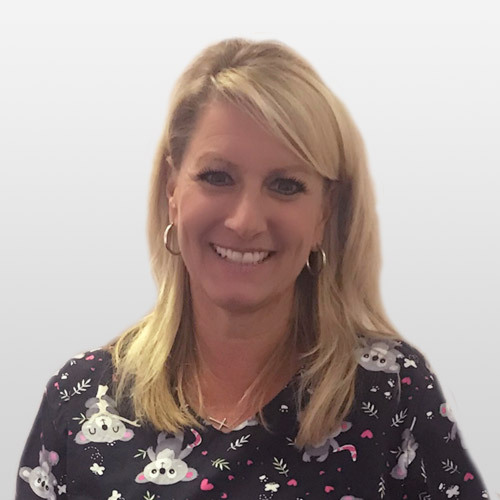 Cindi has worked in various healthcare settings as both a treating and managing professional. Cindi has advanced specialization in vestibular therapy. Cindi is passionate in the treatment for patients with temporomandibular disorders (TMD). Cindi is a certified Pilates Instructor and incorporates these techniques in her treatment. Ardi, originally from Iran is a registered licensed Physical Therapy in the states of Florida and Alabama. He received his Physical Therapy degree from Rajive Gandhi University of Health and Science in Bangalore, India in 2013. After graduation, he showed an interest in dry needling and joined Nimas Academy of Acupuncture, receiving a diploma in acupuncture from Jingwell Academy of Education and Research, National Institute of Alternative Medicine in Bengaluru, Karnataka, India. Ardi continued his education through Northeastern University in Boston to become a fully certified Physical Therapist in the United States. 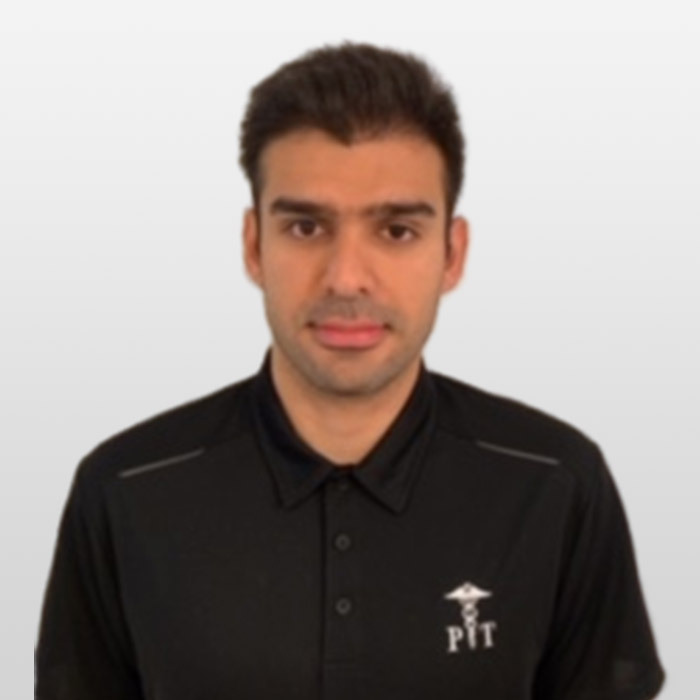 His specialty includes athletic injury, gait and motion analysis, post operative rehabilitation, neurological dysfunction and manual strategies to improve movement dissolutions. He has a passion for evaluating movement in those who play sports ay any age while also developing programs to improve their skill and performance. He is fluent in English, Persian, Hindi and Kanara. Judith A. Poland, originally from Shelby, Ohio, is a licensed Speech Pathologist. She attended Baldwin Wallace College and received her Master’s degree at Cleveland State University. 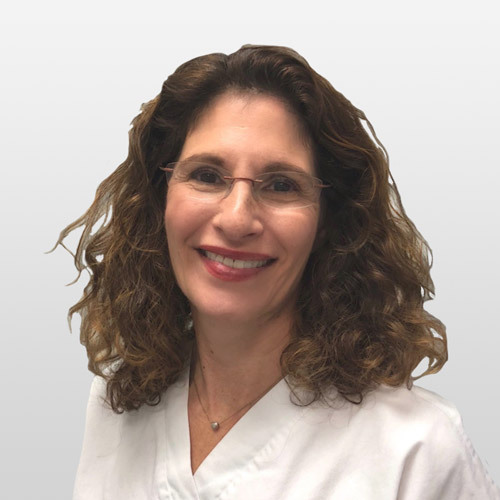 Judith has many years of experience and has worked in a variety of settings serving both pediatrics and adults. Majority of her work has been with pediatrics working as a therapist in the hospital setting, public schools, a non-profit specialized day care and as a therapist and director of a private school serving children with special needs. Judith’s training is extensive in the areas of Autism, Developmental Language Delays, Articulation Treatment and more. She develops a great rapport with all children and pride herself on making learning and communication fun! Alyssa is a graduate of Loyola University in Baltimore, Maryland. She has over 25 years of experience working with pediatrics in hospital, clinic, and school settings. 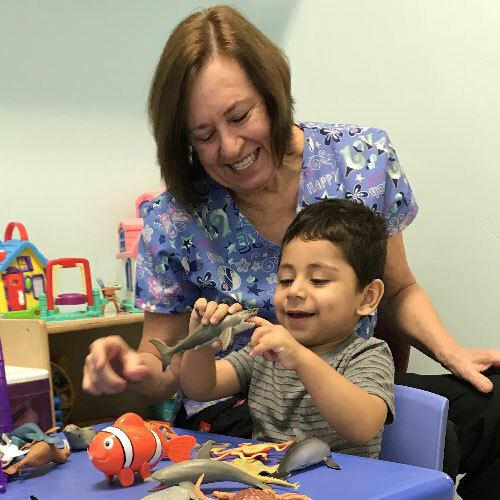 Areas of expertise include children with Autism, Augmentative and Alternative Communication (AAC), Apraxia of Speech, early intervention feeding. She is a member of ASHA and FLASHA. 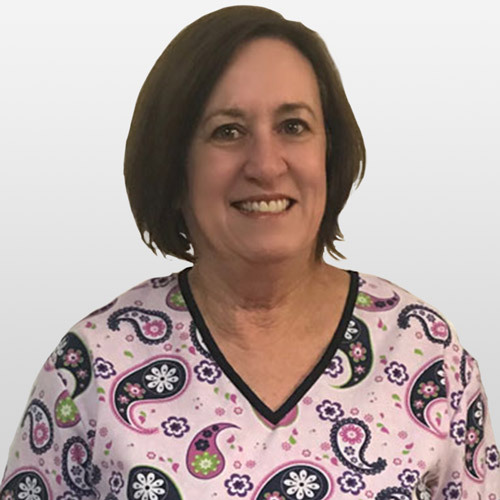 Ann Thornton, originally from North Carolina is a registered, licensed Physical Therapy Assistant (RPTA), with 35+ years of clinical experience. Annie received her RPTA Associate in Science, as well as her Associate in Arts from Medical Center Campus in Miami, Florida. She brings international experience living overseas in Iran and Italy. Annie also has extensive experience in treating the orthopedic and adult neurological patient. Annie is fluent in Spanish. 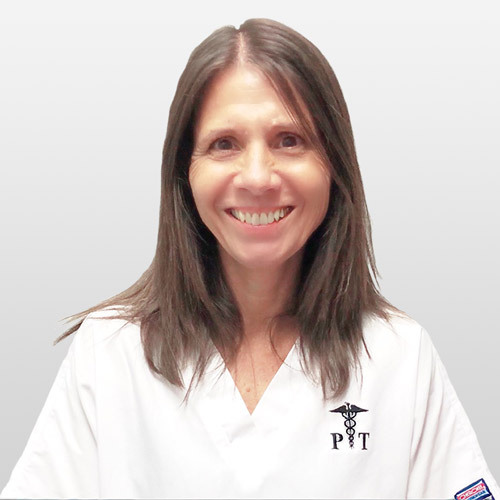 Carla, originally from Cuba, is a registered, licensed Physical Therapist Assistant who graduated from the Praxi Institute in Miami, Florida. 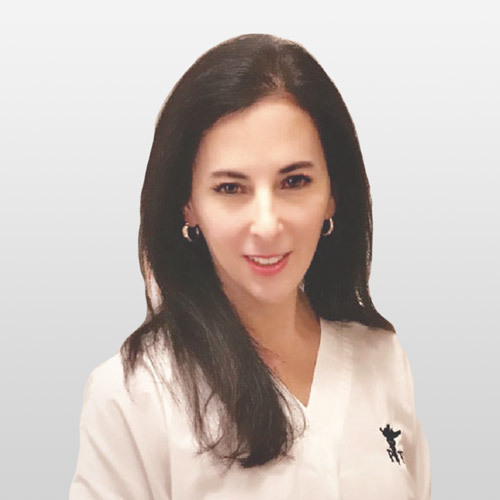 She practiced in Miami, Florida prior to her move to Naples where she continues to be committed to treat both the pediatric as well as adult patient. Carla is fluent in English and Spanish. Kristina, originally from Michigan, received her Bachelor’s of Science degree from Michigan Technological University and her Associates degree from Mott College. She has practiced as an ACE Personal Trainer for 10+ years. She is a licensed Physical Therapist Assistant and specializes in personal training services to existing patients, as well as, patients who have completed their physical therapy who wish to progress further in fitness. 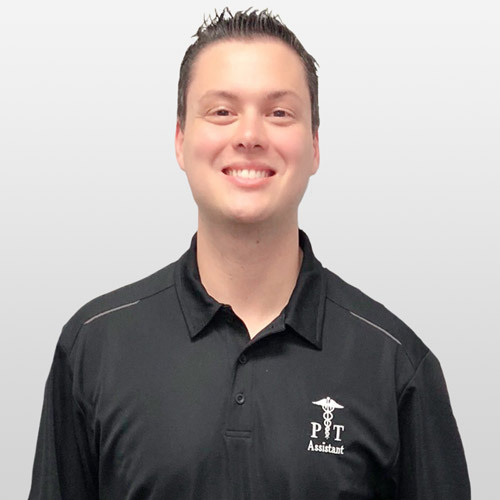 Jeremy, originally from Naples, Florida is a registered, licensed Physical Therapy Assistant. Jeremy graduated from Broward College with an Associates in Physical Science. Jeremy completed his last clinical internship rotation at our East Naples facility and was hired on to join our team. Always so incredibly proud to be a Physical Therapist! Taking care of people was Leslie's passion! Even when her own body was breaking down, Leslie had courage and kept on moving! Her memory lives on in the patients who remember her gracious care, and healing touch. If there is a Healthcare section in Heaven she is there! You can get started with or without a physician referral. *Please call us and we will help to get your insurance verified. Dianne Cortese, Physical Therapy © 2018.